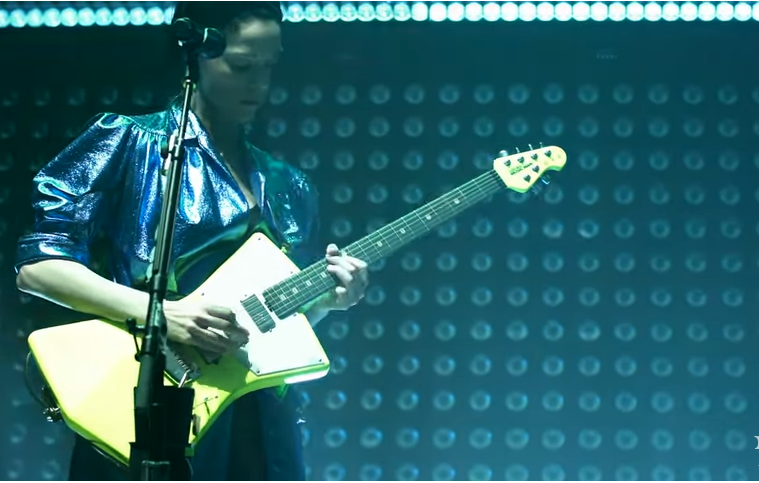 Ernie Ball and Annie Clark – AKA St. Vincent – have released a mini documentary entitled “Disruption by Design” in which the artist explains her creative process and how it informed the design of the Ernie Ball St. Vincent signature guitar. She also discusses her upcoming FEAR THE FUTURE tour, as well as writing and recording her recent MASSEDUCTION album. The documentary coincides with the release of four new colorways for the St. Vincent signature guitar: Charcoal Sparkle, Blue Dawn, Stealth Black and Sea Breeze. You can learn more about the St. Vincent Signature guitar here, or check out Ernie Ball’s wider St. Vincent Collection here.